Orioles Blaze Through Town – Tomato Town organically grows heirloom tomatoes in the greater Kansas City area as well as Johnson County, Leawood, Lenexa, Olathe, Shawnee, Merriam KS, Independence MO and Kansas City Missouri, KCMO. Varieties include: Cherokee Purple, Brandywine, Stupice, Carbon, Black Krim, Black Cherry, Yellow Pear, Absinthe and Aunt Ruby’s German Green. On the prowl for grape jelly. 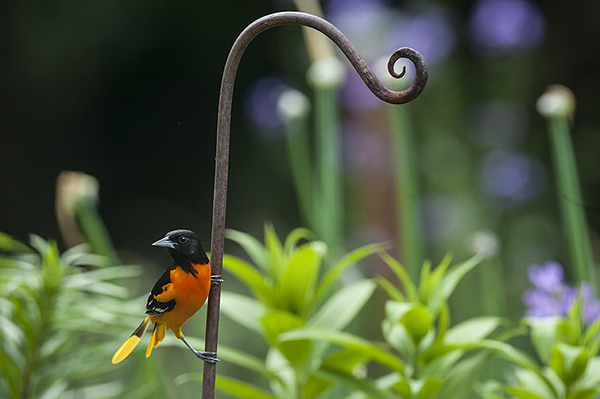 It does not feel like spring until we’ve had a visit from our migrating friends, the Baltimore Orioles. Once we hear their song in the trees, out comes the grape jelly and the show begins! 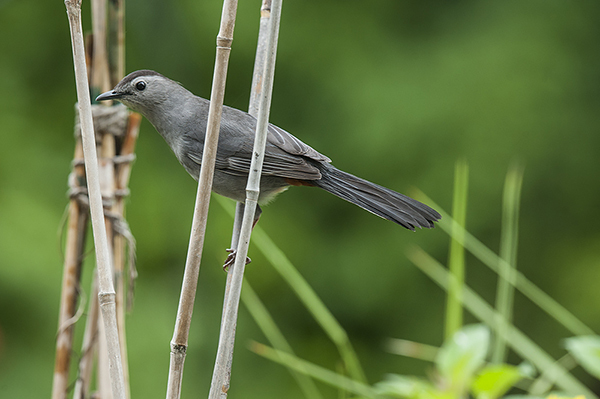 Another bold neighborhood bird with a more muted plumage is the mewing Catbird. A taste for jam brings him to the feeder. We enjoy visitors one and all. A curious Catbird looks for an opening at the feeder. This entry was posted on Monday, May 18th, 2015 at 7:33 am. It is filed under Creature Feature, Latest Posts, Spring Posts, Uncategorized. You can follow any responses to this entry through the RSS 2.0 feed.